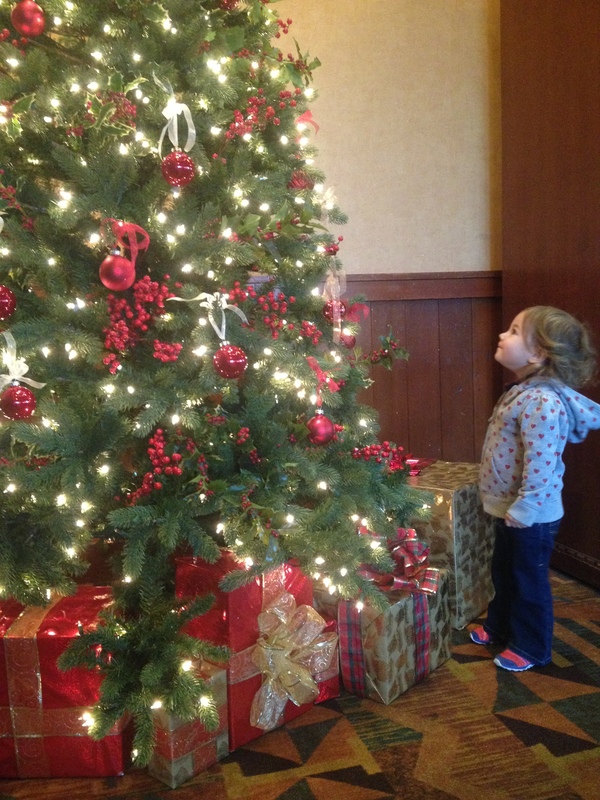 I hope everyone had a wonderful holiday season and Happy New Year! Can’t believe it’s 2015! December was a whirlwind of chaos with sleep deprivation, family gatherings and celebrating – it’s a month I love, but can also be stressful. Now that the holidays are over, we’re in this weird lull – like, what’s next?! I’m excited to start a new year and I’m looking forward to what’s in store for my little family. I usually pass by this brand because it is on the pricey side, but Whole Foods had it on sale for 50% off…and my friend, Jen, said it was amazing. Let me tell you, there is a HUGE difference in quality between this brand and say Coco Libre or Harvest Bay (also both organic). Don’t get me wrong, they’re still really good, but raw tastes SO much better. This seasonal flavor was exceptional! I am a HUGE cinnamon fan, so this was right up my alley. If you can still find it in stores, I highly recommend grabbing a bottle…or two! Surprise, surprise! Another round of favorites that includes a Suja flavor!! 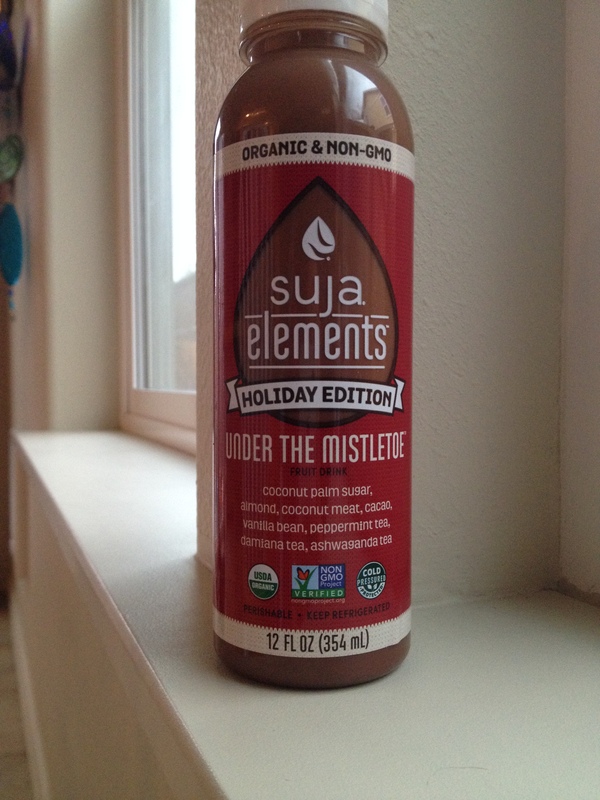 This was SO much better than the other holiday peppermint drinks on the market – clean ingredients and only sweetened with coconut palm sugar. I found this at Whole Foods (on sale) and last I checked, it was still on sale. I’m a sucker for anything chai. 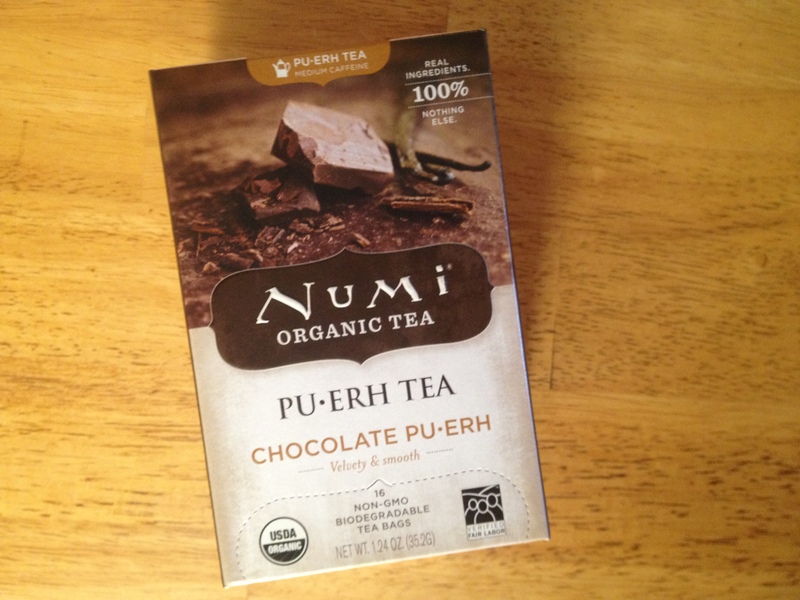 Clove, cardamom, ginger, cinnamon – leaves your belly all warm and tingly! This flavor of kombucha did not disappoint. I have a confession. I love to enjoy a good cup of coffee every now and then…I know there’s debate about coffee being bad, but I don’t drink it every day, nor do I ever drink more than a cup. Not even sure why I’m justifying an indulgence of mine!! For Christmas, Josh bought me a bag of TOMS coffee. 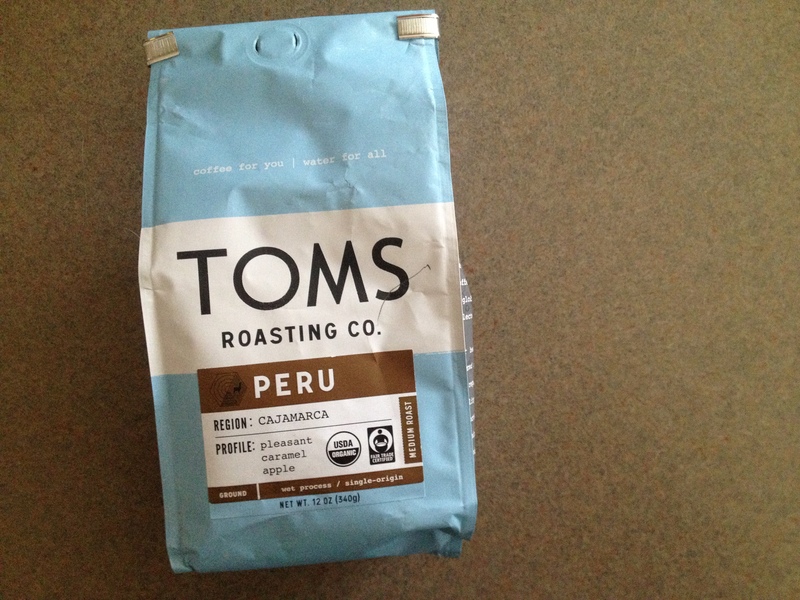 This was my first time trying TOMS coffee and I’m really enjoying it! I’ve been a fan of this company for their shoes and their business values – One for One. Just like how they provide a child in need with a new pair of shoes with each purchase, with every bag of coffee purchased, they give one week of clean water to a person in need. 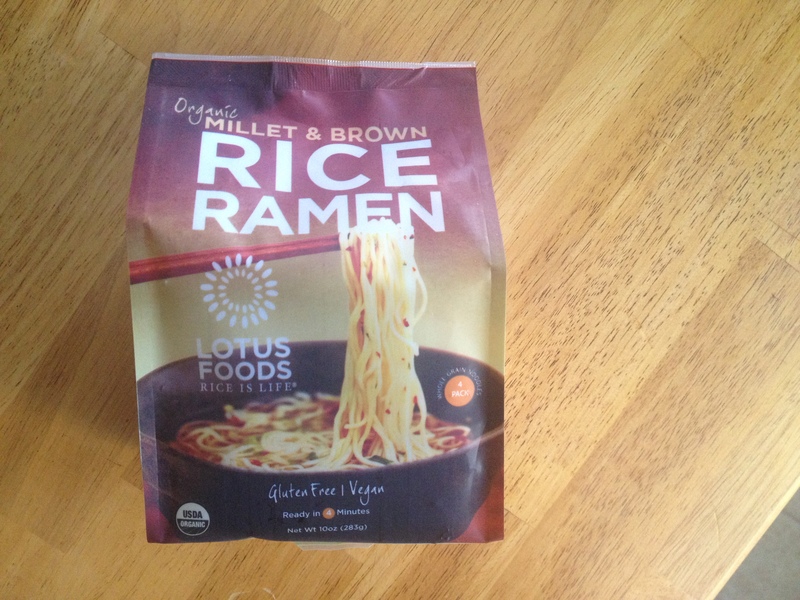 I’ve been so anxious to try this brand, but found it to be too expensive for the amount of pasta you get. 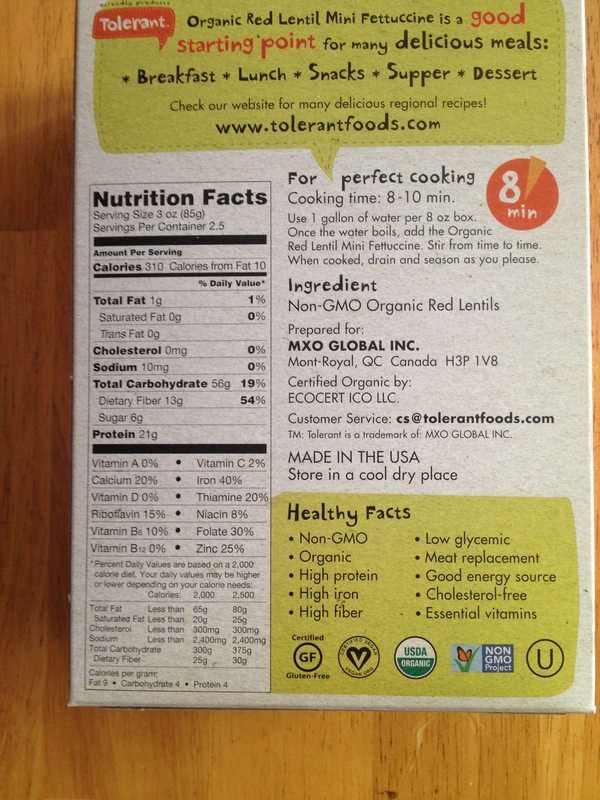 On Cyber Monday, Dr. Fuhrman’s site had a huge sale – while I stocked up on nutritional yeast, my mom bought a bunch of this pasta and gave us a couple of boxes. I love how sturdy it is, unlike some gluten-free pastas on the market and it also reheated well. 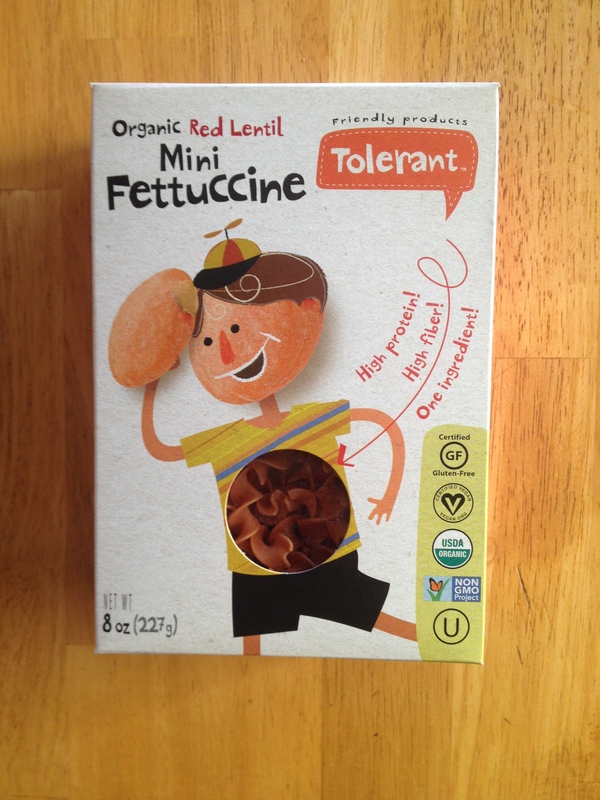 The flavor was great, but my favorite part about this pasta was that there is only ONE ingredient: Non GMO Organic Red Lentils. That’s it! We will definitely keep our eyes out for this to go on sale again. I love this brand. Period. Clean ingredients, organic and excellent quality. There are four ramen cakes (just noodles, no seasonings included) and it only takes a few minutes to cook up. We’ve been adding them to homemade veggie soups and love how, unlike your typical ramen soup, you aren’t consuming a crazy amount of salt and it’s MSG free. 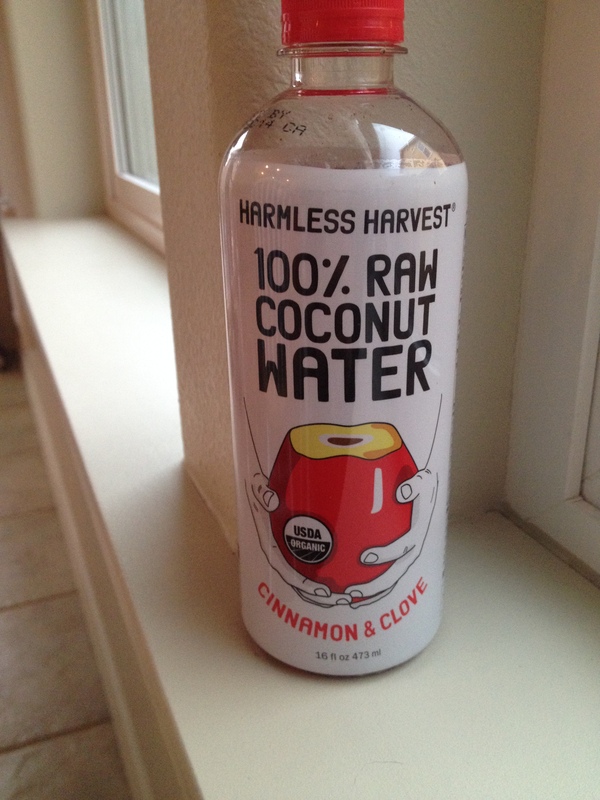 You can find this at Whole Foods or Natural Grocers. The noodles come in a few varieties (Forbidden Rice, Jade Pearl Rice and Millet & Brown rice); we’ve tried them all and love them! I had been eyeing up this company every time we went to Whole Foods and Natural Grocers and one of the last trips we made to Whole Foods, one of my favorite employees gave me a couple of samples to try. At the time, we were struggling really bad with sleep, so she gave me the Peace & Purification Anointing Oil (Lavender & Roman Chamomile) and Moon Goddess Anointing Oil (Jasmine). Both smelled fabulous and provided a great sense of calming – I’ve been wearing Moon Goddess and it almost instantly brightens my mood! Unfortunately, the peace and purification one didn’t resolve Willow’s battle with sleep 😉 All of these oils are vegan, gluten-free, cruelty-free and paraben free. They have a whole line of lotions, aura sprays, diffuser oils, perfume oils and massage oils. What were some of your favorites from last month? Stay tuned on Friday when I resume my Friday Feature interview series! So happy that you’re a fan! Ok Tyler has been trying to talk me into that pasta for like a year now! hahaha I never thought it would be worth the cost but I really might just have to try it for fun! 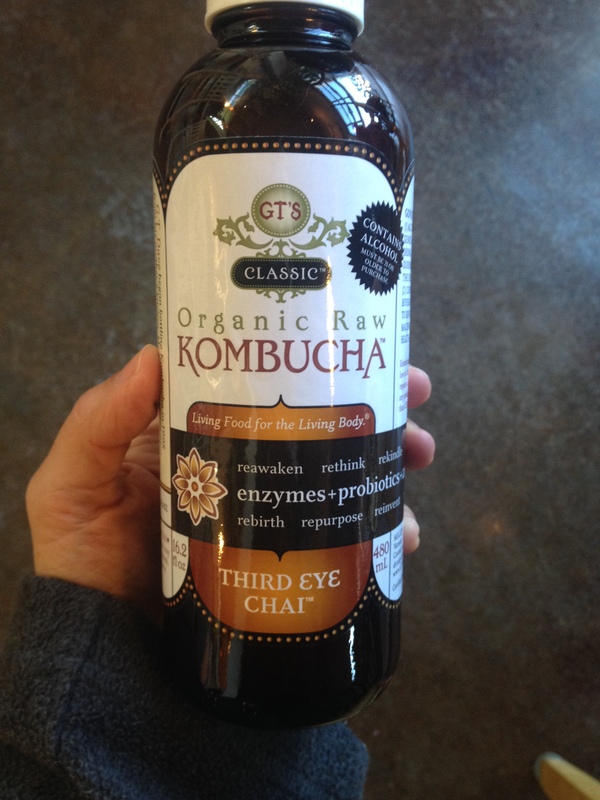 I also really want to get my hands on that “third eye chai”!!! Yumm! 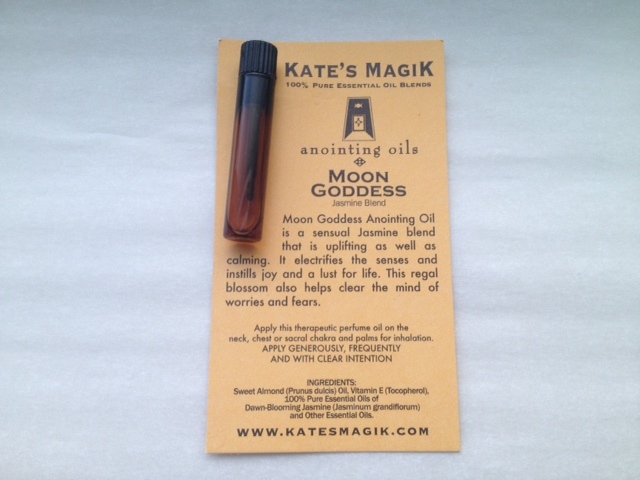 We already talked about that moon goddess oil…which I will be getting my hands on! Such a small world. 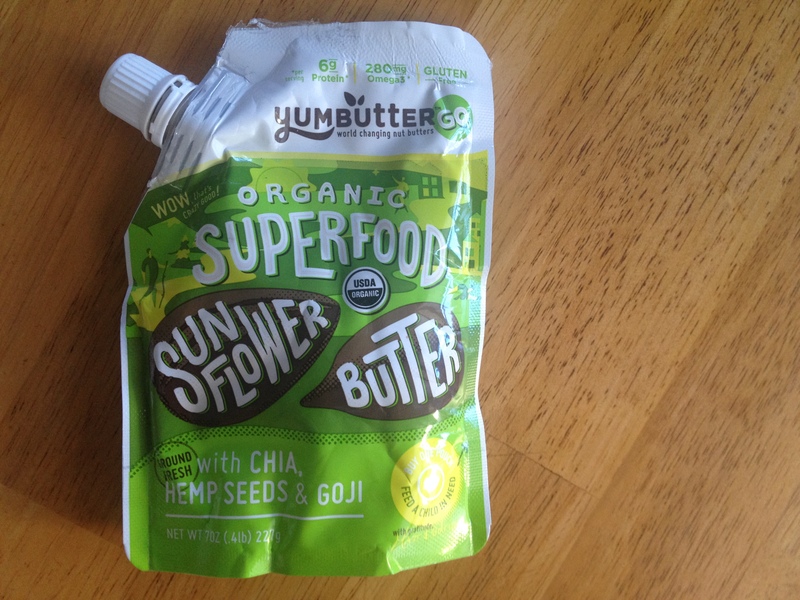 YumButter’s co founder, Matt, is a good friend of my brother. Glad to hear you like it!